The holidays can be a fun, busy time filled with parties, big meals and endless opportunities to deck the halls. But with those events comes loud music, bright lights, rich food and other triggers that can pose a risk for people with post-traumatic headache (PTH). From high-school cheerleaders to firefighters, nearly anyone can experience PTH. PTH is a headache that occurs within seven days after someone has experienced a concussion. Symptoms of PTH include everything from dizziness and trouble sleeping to sensitivity and noise and mood changes. In addition to medication, treatment for PTH includes physical therapy and relaxation therapy. Emotional and psychological problems can trigger a headache, so relaxation during PTH recovery is crucial. Rest is one of the most important things to keep in mind when recovering from PTH. Although you might be tempted to RSVP yes to every invitation you receive, consider sitting some events out if you know they’ll be overwhelming or will cut into your sleep time. Strive to get the recommended seven to nine hours of sleep per night, as lack of sleep can exacerbate the symptoms of PTH. Sensitivity to light and sound are two symptoms of PTH. Avoid crowded stores during the holiday season to alleviate these symptoms. If you must go shopping, try to find a quiet, isolated place upon arriving where you can relax if needed. Hypersensitivity to noise is a common PTH symptom, and unfortunately, the holiday season is filled with noise: music at parties, people talking loudly at stores and family members debating at dinner. Carry noise-canceling headphones with you in case your environment becomes overwhelming. In addition to noise sensitivity, light sensitivity is a hallmark symptom of PTH. Keep a pair of sunglasses or a hat on hand to avoid bright, twinkling holiday lights. Nearly everywhere you turn during the holiday season, there’s a sugary treat waiting for you: donuts at the office, hot chocolate at happy hour and Christmas cookies at a family party. But sugar can exacerbate the symptoms of PTH. Limit your intake of sweet treats during the holidays if you’re recovering from PTH. Although spiked apple cider and eggnog might be tempting, it’s best to avoid alcohol if you’re recovering from PTH, as drinking it can lengthen recovery time and further damage the brain. Wear shoes with good tread, which can prevent a slip or a fall that might lead to another concussion. 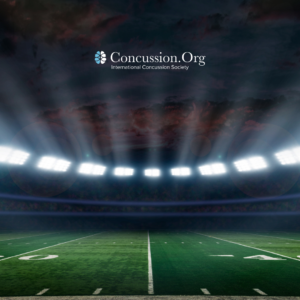 Experiencing another concussion while still recovering from the initial one can lead to a series of complications, such as second-impact syndrome. Overexerting yourself will only make it more difficult to recover from PTH quickly, as anxiety, stress and other emotional problems can worsen symptoms. If you need help hosting a holiday party or decorating your home, don’t be afraid to ask a family member or friend for help.